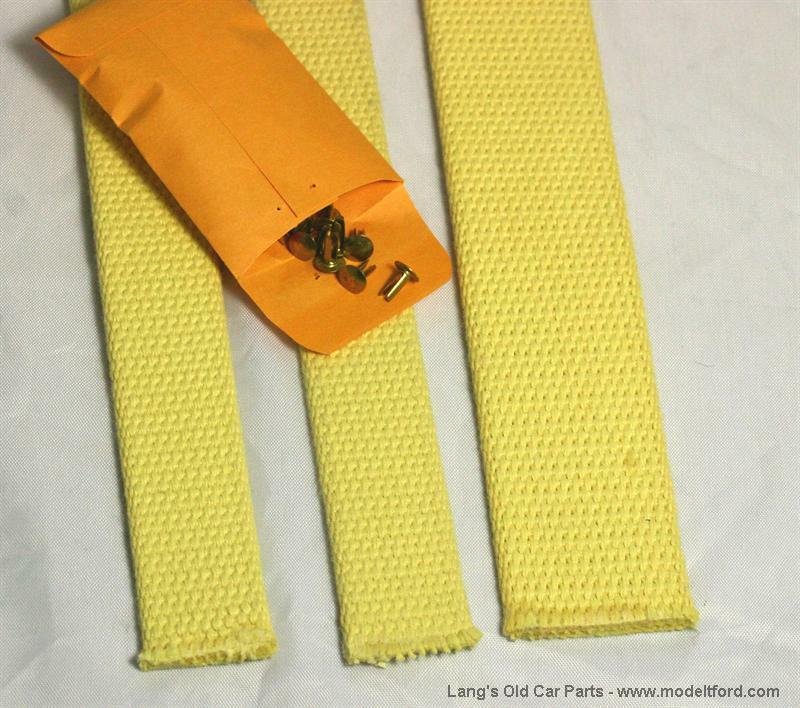 Kevlar band lining set, with rivets. NOTE: Kevlar Band Linings have proven more durable than either Scandinavia or cotton bands. They may be the last set of bands you need to buy. Dupont Kevlar bands help prevent slipping, chattering and the need for frequent adjusting. Kevlar can withstand temperatures of 400 degrees. They mount with rivets just like original bands. This 1926-1927 band set includes one wider band for the large brake drum on these year transmissions.